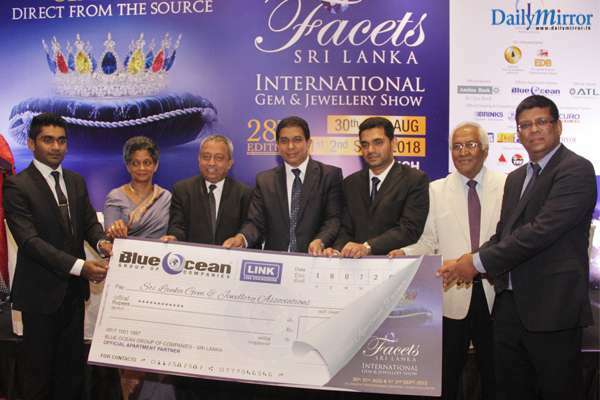 On the 18th of July 2018 at a press conference held at the OZO in Colombo, the Sri Lanka Gem & Jewelry Association announced the launch of the 28th edition of the FACETS International Gem & Jewelry Exhibition. 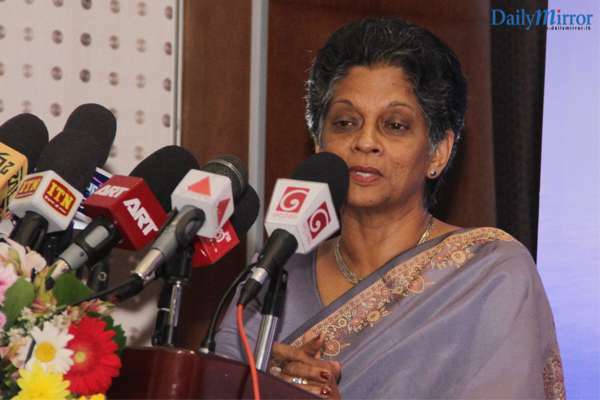 The exhibition is to be held from the 30thof August to the 2ndof September at the BMICH. The inauguration ceremony on the 30thof August will be graced by His Excellency President Maithripala Sirisena as chief guest and Mr.Vladyslav Yavorskyy, a renowned gemologist and the author of three popular books – ‘Terra Spinel: Terra Firma’, ‘Terra Garnet’ and ‘Terra Connoisseur’ - will be present as guest of honor. Mr. Yavorskyy’s latest book ‘Sri Lanka Gems’, will be launched in the form of a coffee table book in Sri Lanka for the first time at the inaugural ceremony. 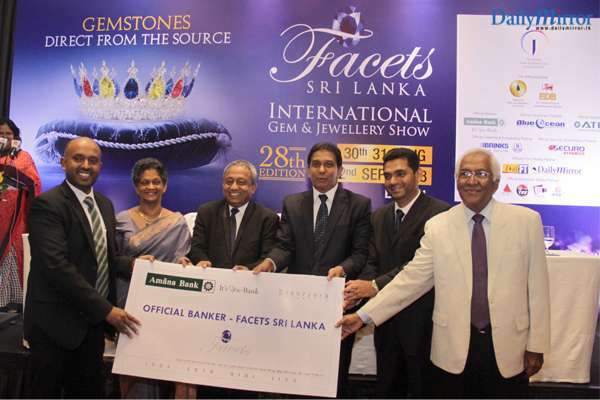 Following its inception in 1991, FACETS has grown in scale and popularity over the years to become the premier event of Sri Lanka’s Gem & Jewelry industry. 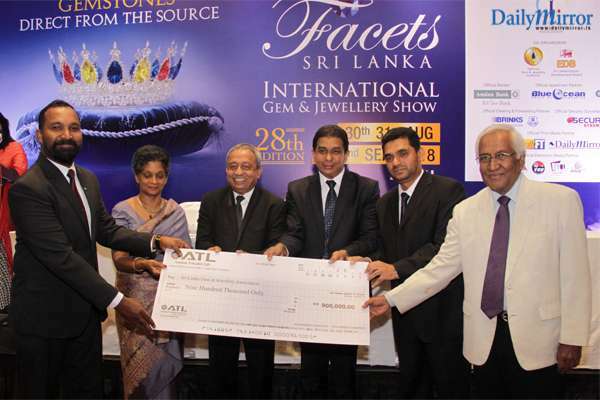 The exhibition’s purpose lies in the necessity to showcase the very best of Sri Lanka’s most precious resources, thereby boosting the sale of gemstones and jewelry among overseas markets and attracting more international dealers to the island. FACETS also serves as a means of levelling the playing field amidst the different segments of the local industry. In 2016 the Premier Jewelry Pavilion and the Gem & Jewelry Mart were introduced and 2017 saw the launch of the FACETS mobile app. FACETS 2018 will see the collaboration of official partners in the organization of the exhibition. Amana Bank, Amana Takaful Life, Blue Ocean Apartments, Brinks and Securo Dynamics have taken on the roles of officialbanker, official insurer, apartment partner, clearing &freight forwarding partner and security surveillance partner respectively. The FACETS International Gem & Jewelry Exhibition features something to suit every style and every budget. Ranging from precious stones, gold and silver jewelry and exquisite watches to semi-precious stones, colored stones and costume jewelry, the exhibition features an impressive lineup. Delegations from countries such as Nepal, Myanmar, Hong Kong, China, Russia and France, will feature at the exhibition, and many more individual buyers are expected to attend the event, thus increasing international exposure for the local industry. The exhibition will also offer guests a glimpse into the lapidary sector of the Gem & Jewelry industry. A number of stalls will feature various pieces of machinery and tools used to cut and polish gemstones and craft jewelry. There will also be a number of laboratory stalls where visitors can get a look at the process of examination that a gem is subjected to. They can even test their own gems and receive a certificate proving the stones’ value and authenticity. The previous year’s exhibition had the added presence of industry related academic institutes, which cater to the interests of young people seeking to join the industry. 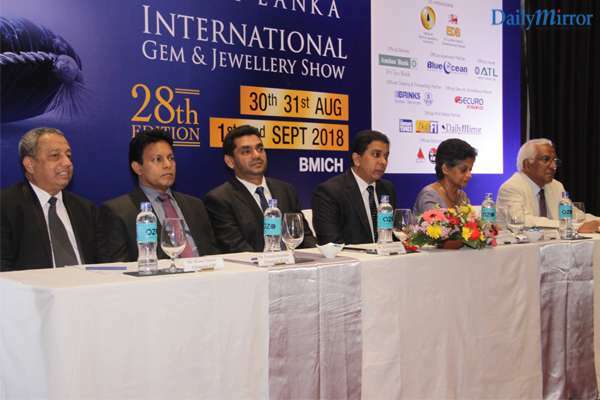 Special informational stalls will be set up this year as well to provide knowledge and details about opportunities to be found in the Gem & Jewelry industry of Sri Lanka.